Aaron Scott popped up at the end of the season with a Britcar entry under the AS Motorsport / Shiltech banner. 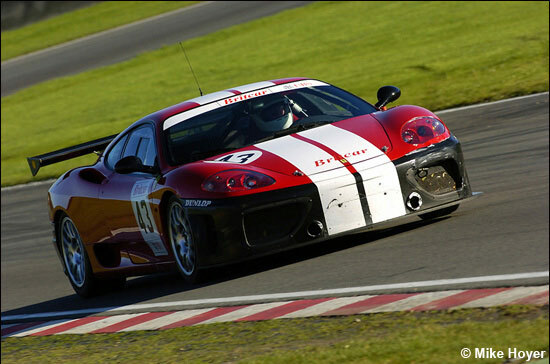 The effort will continue into the 2007 season with a full Britcar season for a pair of Ferrari 360s but under the new Nero Racing name. The cars are both familiar to regular dsc readers, one being the ex-Bo McCormick car and the other the David Back-owned machine which has seen both Britcar and British GT action in recent seasons. The driver squad will comprise Aaron Scott, David Back, David Foster and Andy Ruhan. Aaron Scott will act as lead driver and driver coach and will also be taking on many team co-ordination and logistical tasks, with Shiltech Engineering taking charge of the race preparation of the cars. Both 360s will emerge in a fresh, black livery after their winter rebuild and testing in Spain (hence the ‘Nero’ team name). 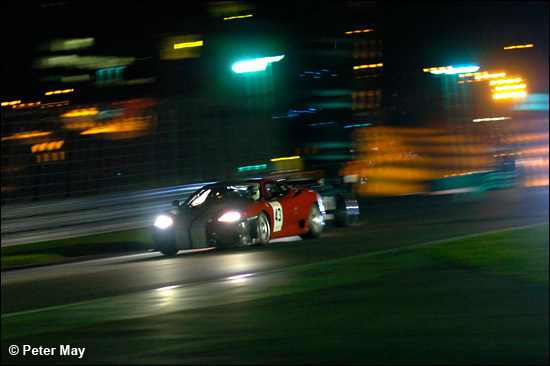 Here is the David Back car in action - in daylight and darkness, at Brands Hatch on November 11.